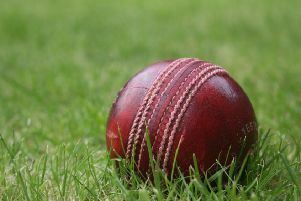 A restructured Belvoir Cricket League gets under way this evening with the start of its knockout competitions. Sproxton and Wymeswold will open the season in a preliminary round tie of the Frank Woodhead Cup. The league proper begins next Thursday (May 12) with one division replacing last season’s three-tier format. Nine teams have so far signed on for the season with one place still available to clubs. The division consists of Wymeswold, Sproxton, Hickling, Mars Petcare, Thorpe Arnold, Old Dalby, Long Clawson, Mash Tub and Upper Broughton all of whom will play each other once. Opening league fixtures: Hickling v Mars Petcare; Long Clawson v Upper Broughton; Mash Tub v Wymeswold; Old Dalby v Sproxton. * If any team is interested in taking the 10th place, contact new league chairman Mark Bullimore on (01664) 813501 (evenings only).